WASHINGTON (CNS) — Ronald Smith, 45, was executed by lethal injection in Alabama late Dec. 8 after a night of temporary stays by the U.S. Supreme Court. 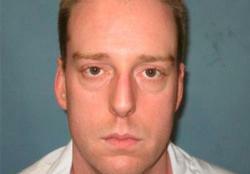 The court ultimately denied his request to delay the execution. Smith was convicted of murdering Casey Wilson, a convenience store clerk in Huntsville, Alabama, during a failed robbery in 1994. He is the second inmate to be executed this year in Alabama and the 20th person to be executed in the country, according to the Death Penalty Information Center. The Supreme Court did not offer an explanation for any of the orders it issued in his case. In November, it granted a last-minute hold to stop another Alabama man’s death sentence but gave no reason there either. His case drew particular attention because the jury that convicted Smith recommended a sentence of life in prison without parole but the trial judge overrode that sentence, as allowed by state law, and imposed the death penalty. In January, the Supreme Court ruled that a similar death penalty law in Florida gave judges too much leeway. The website for the Catholic Mobilizing Network to End the Death Penalty included a sample letter to send to the Alabama governor requesting him to stay the execution. In early December, a group of 101 lawyers and law professors in Alabama asked Gov. Robert Bentley to remove from death row 34 inmates in whose cases judges overrode jury sentencing recommendations that they receive life without parole. In a Supreme Court appeal, Smith’s attorneys argued that his death sentence should be overturned based on the high court’s ruling that Florida judges had been given too much power in overruling jury decisions in death penalty cases. The Supreme Court has since ordered Alabama to review similar practices in four other similar cases that are pending. I’m a great believer in the death penalty. I was just reading the story about Rommell Broom on how he was crying out in pain, to me that’s him getting a taste of his own medicine. The reason that I’m saying this is because he probably never gave the people a thought that he murdered, and more to the point their families, so I hope his execution comes quick and I hope he suffers some pain like the people he murdered and the life long pain that the families have to live with.